Looking for some extra specs appeal this summer? Sidestep the plastic versus metal debate with a pair of sunglasses that veer just slightly off the beaten track. From reclaimed skateboards to repurposed denim, here are seven unexpected—yet eco-friendly—ways to shade your peepers in style. 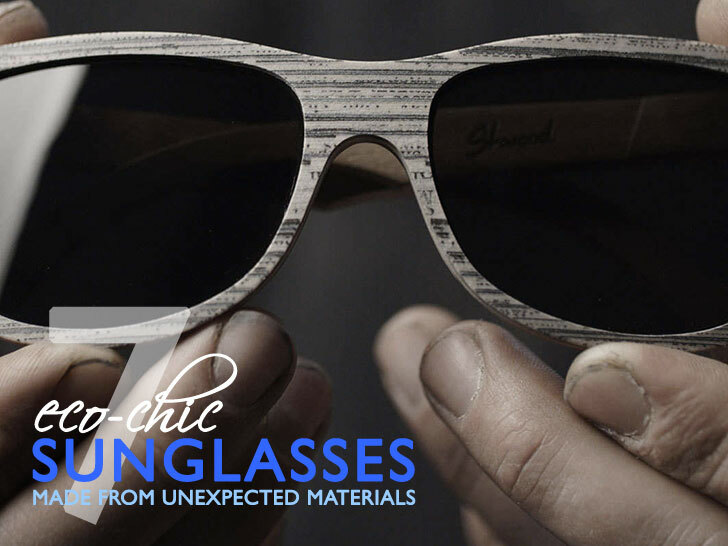 Above, a sample from Shwood's "Newspaper" collection, which features a wood-like veneer made out of, well, you know. Vinylize’s line of recycled-LP eyewear is still handcrafted in Budapest, where the first pair was constructed from salvaged Communist vinyl more than 10 years ago. Thick, rugged, and patterned in distinctive grooves, each limited-edition frame embodies the “quality and style of the music they are made from,” according to the company. Putting a new spin on a rugged workwear staple, Mosevic uses resin-infused layers of recovered denim to make its “Solid Denim” line of frames. 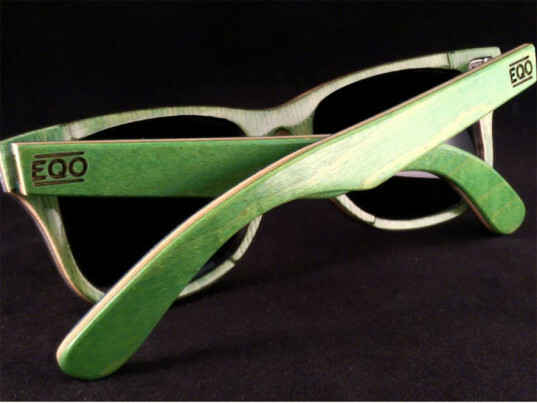 Eyeglasses made from cannabis? No, you can’t smoke them, but Hemp Eyewear’s proprietary blend of hemp and flax fibers does make for a strong yet lightweight pair of sunnies. Battered and broken skateboards find new life as off-the-hook sunglasses, courtesy of Eqo Optics in Colorado. Send it your old deck for a permanent memento of every spin, flip, grind, and slide, or choose from a range of donor boards from skate shops across the country. Gucci’s “Liquid Wood” line of eyewear combines wood fibers from sustainably managed forests, lignin from the paper-manufacturing process, and natural wax. The material is also biodegradable, which is more than you can say for petroleum-based plastic. 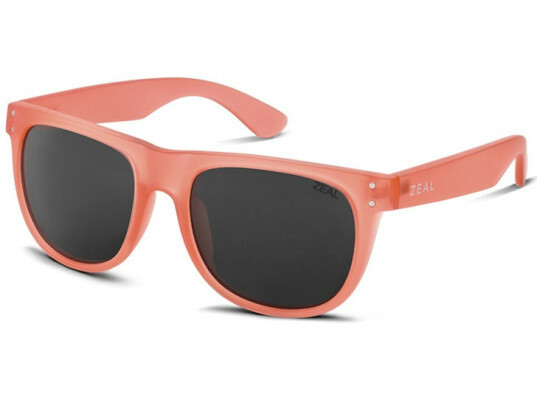 Zeal Optics calls its “Ace” silhouette the greenest eyewear ever developed. Made from 100 percent American-grown cotton, and outfitted with patent-pending plant-based lenses, the sunglasses are biodegradable at the end of their lives. 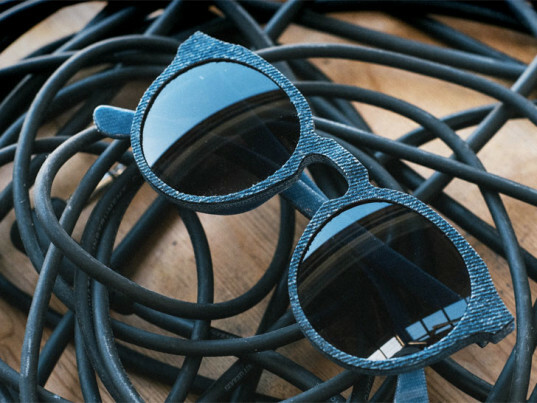 Vinylize's line of recycled-LP eyewear is still handcrafted in Budapest, where the first pair was constructed from salvaged Communist vinyl more than 10 years ago. 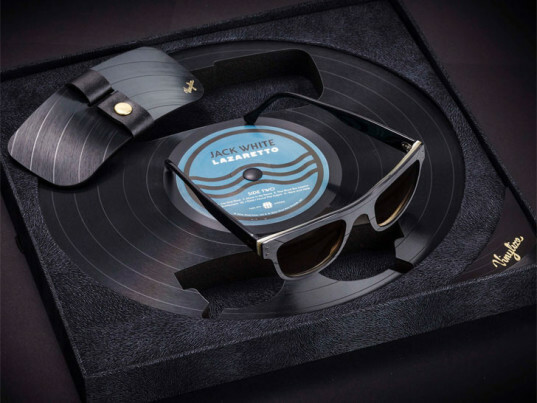 Thick, rugged, and patterned in distinctive grooves, each limited-edition frame embodies the “quality and style of the music they are made from," according to the company. Eyeglasses made from cannabis? 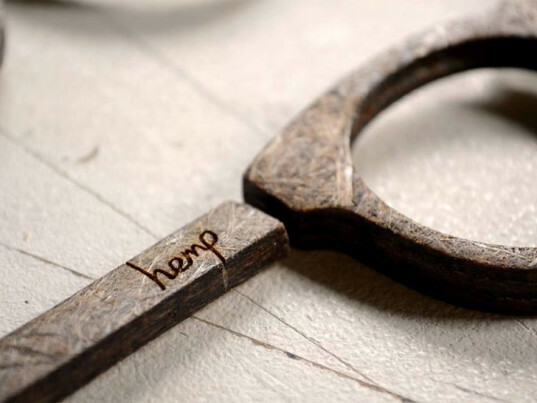 No, you can't smoke them, but Hemp Eyewear's proprietary blend of hemp and flax fibers does make for a strong yet lightweight pair of sunnies. 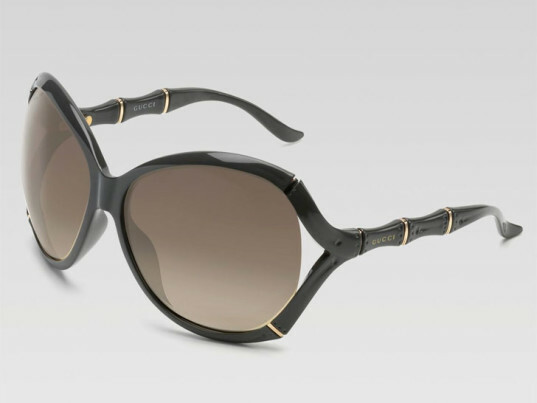 Gucci's "Liquid Wood" line of eyewear combines wood fibers from sustainably managed forests, lignin from the paper-manufacturing process, and natural wax. The material is also biodegradable, which is more than you can say for petroleum-based plastic.